Cleaning up explosives is a job best left to robots. What demining robots lack in human dexterity they more than make up in expendability, and the ability to send even a pricey robot to clear explosives gives battlefield commanders much better options when trying to navigate a dangerous area. To that end, the Russian Ministry of Defense announced it is acquiring 12 more Uran-6 demining robots in 2019. 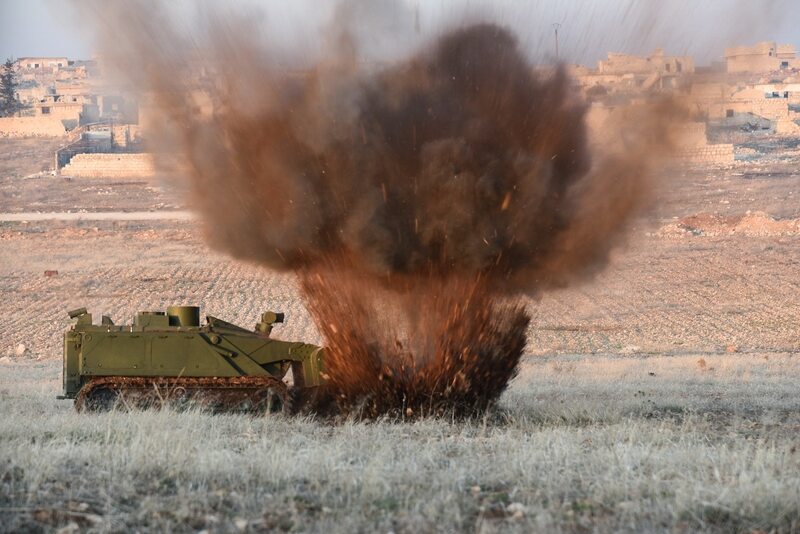 The Uran-6 isn’t the flashiest robot, but it has seen operational use in Syria. While much attention has gone to the potential and implications of its sibling, the armed Uran-9 robot vehicle, combat performance for the Uran-9 suggests further refinement is needed before it can be an asset and not a liability in combat. No such hesitations appear to exist with the Uran-6s that were present in Syria as proof-of-concept and technology demonstrations. On the scale of military acquisitions, 12 specialized robots is modest, but it suggests a capability that is seen as useful and worth expanding. Robots that can clear paths through explosive barriers will remain valuable as long as war features mines.